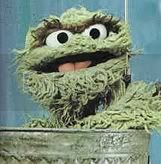 Without sufficient rest I am Grumpy and Oscar the Grouch combined, and if you don’t believe me I have several people who will validate my claim. Sleep is underrated by most people, but never by me. If necessary, I could list “good sleeper” as a qualification on my resume. My daughter has always (with the exception of her earliest years when she had to eat during the night) understood that unless she is bleeding or vomiting, my sleep is not to be interrupted. And (partial confession), there was even one time when she actually met the latter qualification, and I still didn’t really wake up, but that’s another story for another time. Razor, the Caped Crusader, has decided he has business outside the past seven days between 2:30-3:00 in the morning. At least he’s punctual. And, as it turns out, Razor does not listen to reason from this half-crazed sleeping being, who does NOT want to get up, grab my Fitbit (because John cannot beat me in steps, and even in the middle of the night I have my priorities), put on my shoes, get the flashlight and a bag, zip up my coat, and go outside! All I’m suggesting is that in my effort to have a more positive outlook on everything, I am grateful I can go back to bed and fall asleep instantly, as if Razor’s biological break was just a bad dream. My daughter has been eyeing jean jackets for months, not-so-secretly hoping I’ll notice how much she wants one, and what a difference to her wardrobe possessing and wearing one will make. The price tags stagger me: $60.00, $45.00, $132.00! Are you kidding me? We’re talking about a jacket made out of denim, which up until the 1970s wasn’t even considered general fashion! But I digress. Hannah is the one who sparked the idea, and Jessi Arrington’s TED Talk I watched last March inspires me. Tonight, L and I went to our neighborhood Goodwill store with one intention: to find a jean jacket. I’ll frame this experience by telling you I can NEVER find anything in a Goodwill store. I get that they sort things according to color, but that doesn’t really help me. We walked into the store, and straight to a rack that had a jacket on it – and it was her size! We scoured the other racks, and found three more jackets. After trying on all four jackets, L determined she preferred the very first one she found, and it was that easy! And my final price tag? $5.34!